Is it Time for Tires? In an attempt to boost performance, tire manufacturers analyze the capabilities of their tires under a variety of road conditions and speeds to ensure the safety and durability of their tires. These tests are conducted on all factory-made tires whether they are intended for rain, snow, off-road, performance or fuel conservation. Among the many tests done on new tires is stopping distance. Stopping distance is the span of road that it takes for a vehicle to come to a complete stop. 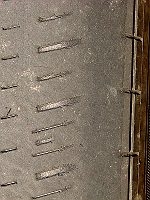 Several factors determine the stopping distance of a tire. 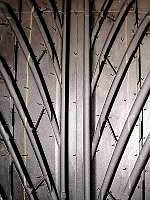 These include the materials and construction of the tire, its tread patterns and the vehicle on which it's mounted. That's why it is so important to choose the right tire for your car, van or truck. Fortunately HomeTowne Auto Repair & Tire can help you determine which tires are best suited for your vehicle, and your day to day driving demands. Not Sure If You Need Tires? Worn tires can add seconds to your vehicle's ability to stop, greatly increasing the risk of an accident.